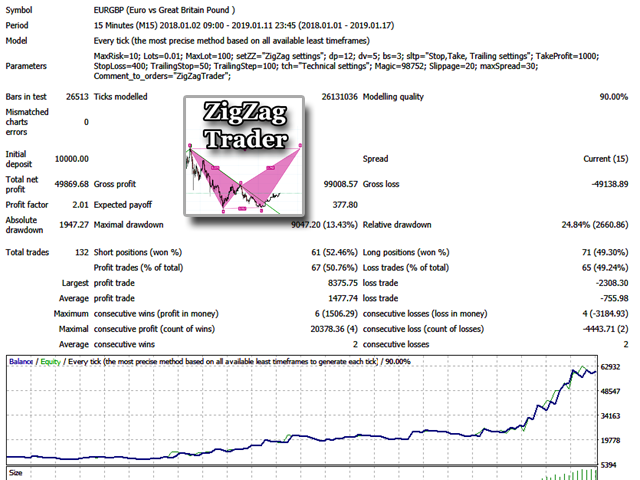 The Expert Advisor works on the basis of determining the signal patterns of the ZigZag indicator of various tamframes (multi-patterns). The combination of the descending patterns of the three timeframes is a signal for opening a long position due to the delay rules. Simply put, when the market has already won back the fall, the indicator patterns only indicated this fall. 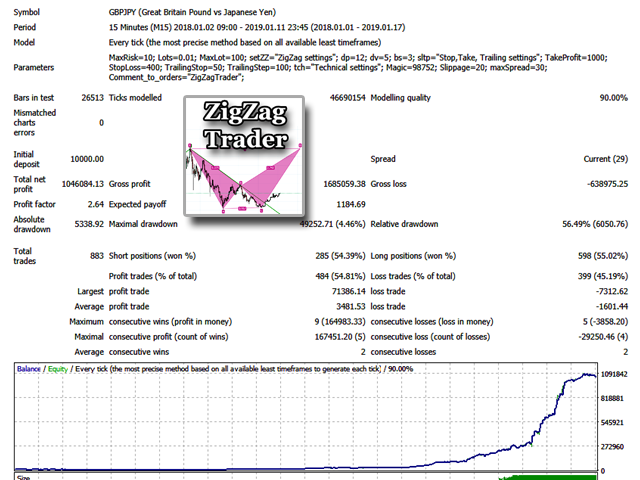 Recommended trading tools: 15m: GBPUSD, EURGBP, EURUSD, EURJPY, GBPJPY, USDCAD. 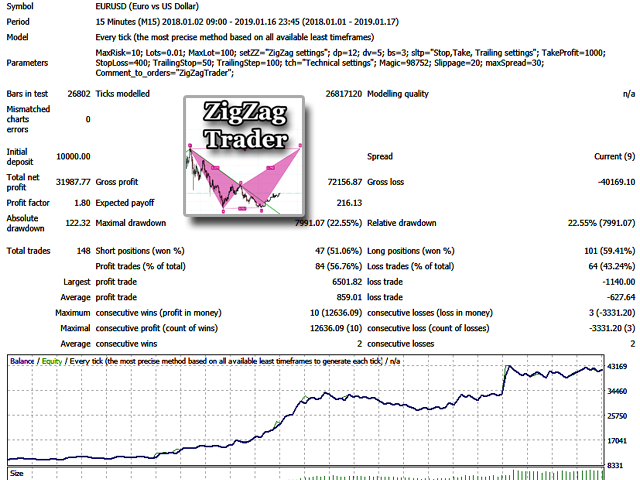 Current settings (default) are universal for recommended trading instruments. To work correctly, the advisor requires a low spread and the use of a remote server (VPS). Comment to orders - Comment on opened orders.